The fresh Sony Ericsson W710i (Quad Band EDGE 850/900/1800/1900) will be available in Europe, Middle East, Africa, and the Americas. The W710i Walkman phone features a 2.0 megapixel camera with digital zoom as well as other features including. 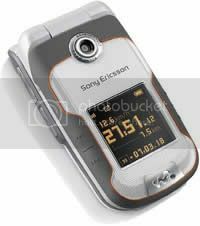 The Sony Ericsson W710i will be available to buy in the colours ‘Performance Graphite’ and ‘Hatha Violet’, price currently unknown.